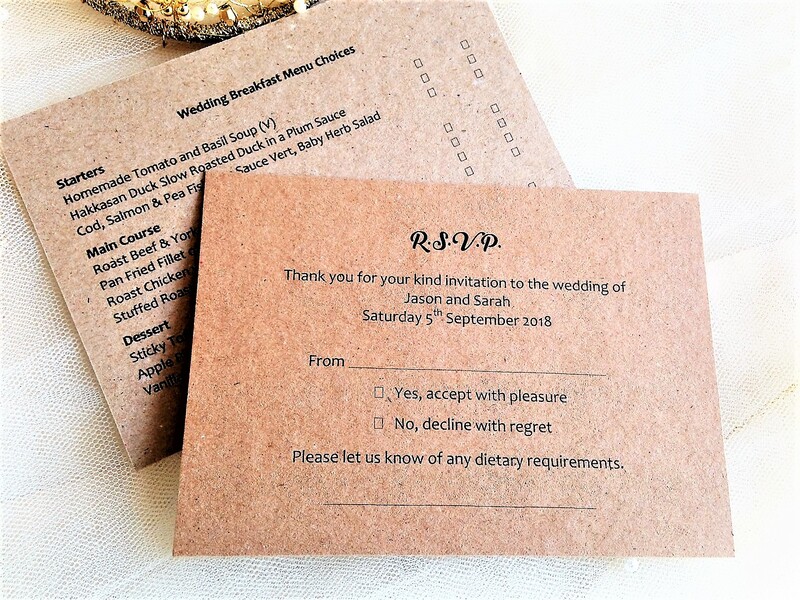 Menu RSVP Cards and Envelopes are available in either hammered card, in white or ivory, or brown kraft card to match your invitations. Available to match all our wedding stationery ranges. 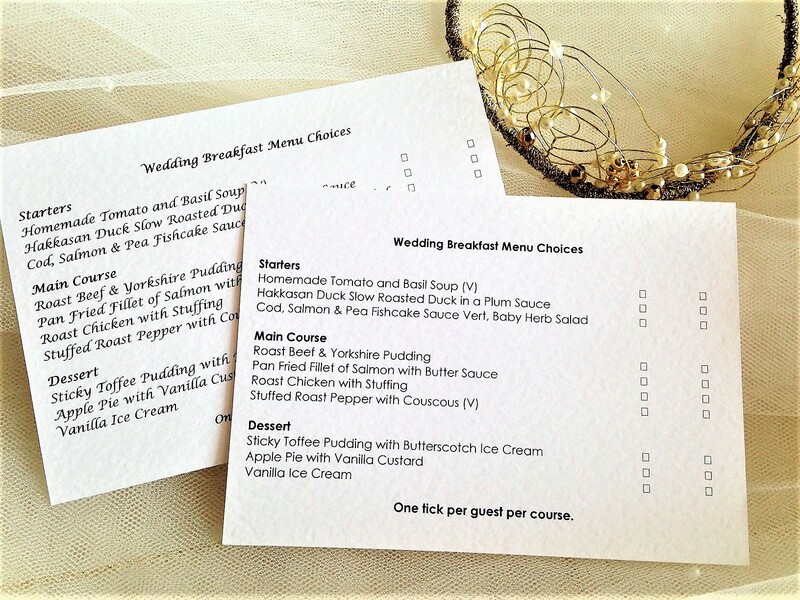 Printed with menu choices and tick boxes on one side and the response details on the reverse. 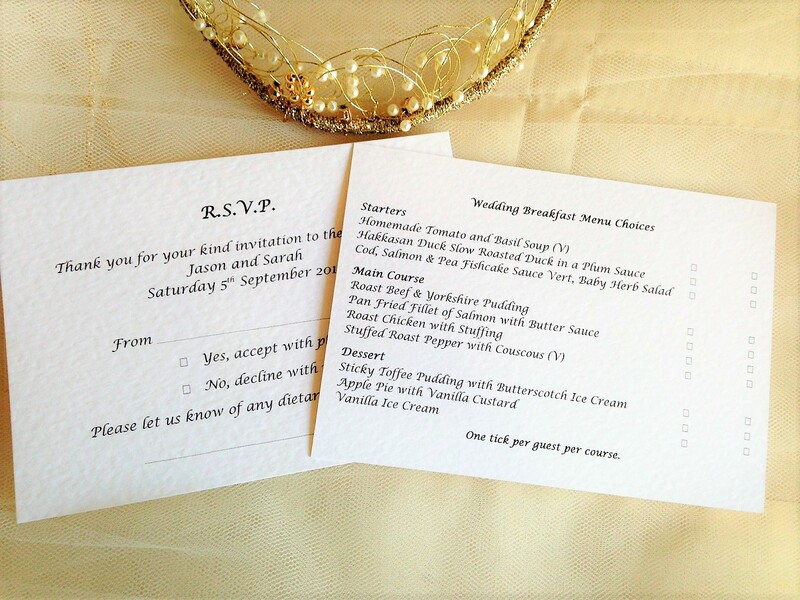 The menu RSVP card is supplied with a matching envelope printed with your return address. We can print these in any colour or font to match your stationery. Wording changed to suit occasion. 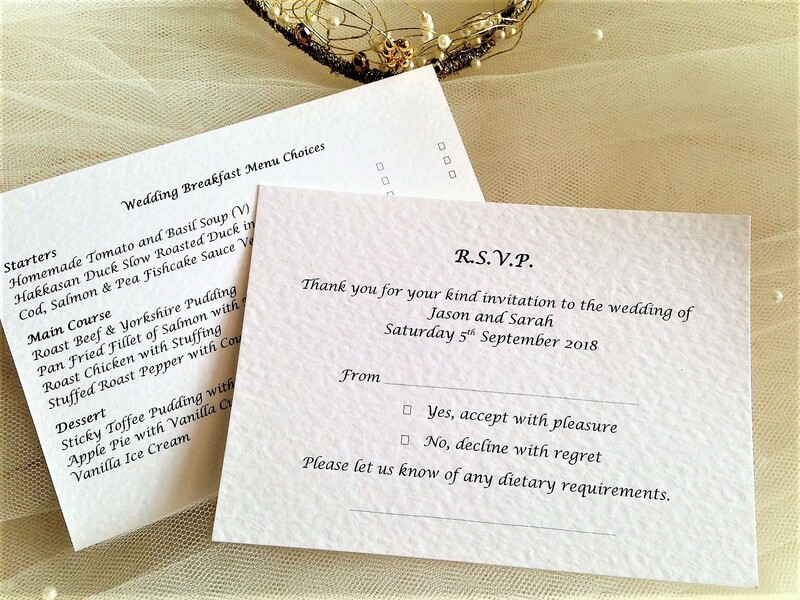 Menu RSVP cards and envelopes with tick boxes for your wedding guests to complete are ideal if your venue needs to know your guests meal selections in advance of your celebration. 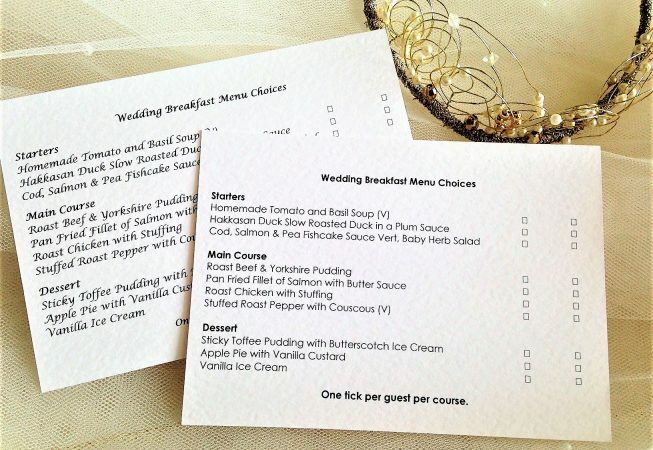 Why not let us produce individual menu cards for each guest with their meal selections!